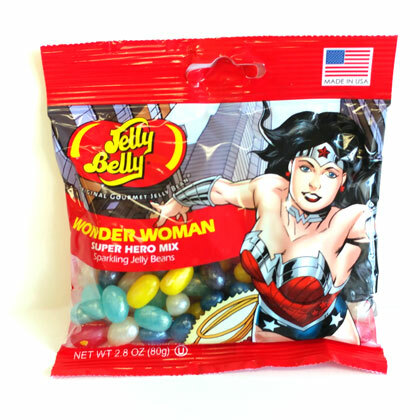 Jelly Belly super hero special edition peg bags. Each bag is filled with a 2.8 ounce selection of kid approved flavors. 1 bag per order. Flavor mix: sparkling berry blue, blueberry, cream soda, very cherry, sour lemon and wild blackberry. Made in USA.